For couples that are looking to create a sense of style and traditional charm to their special day, the vintage lace wedding invitation looks like being one of the finest cards and invitation sets you can hope to find. While there is a growing desire to showcase some modern flair and charm into a wedding day, there is always a lot to be said for the elegance of a traditional wedding and the vintage lace invitation set manages to capture this feel perfectly. The names of the happy couple are engraved into the fine cutaway lace design and all of the information that guests need to know are placed into inlay cards that sit behind the lead aspect of the invitation. 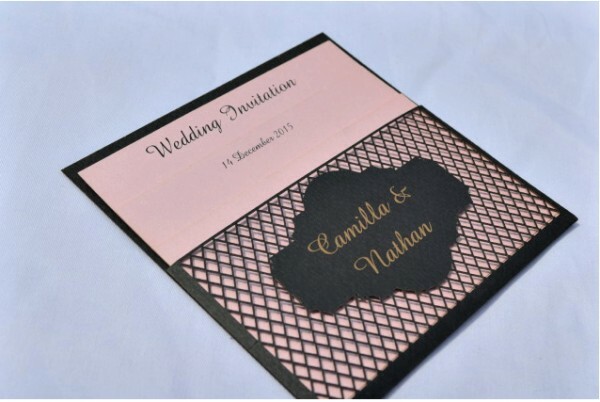 This is a stylish and interesting design which adds a lot more than the traditional wedding invitation so if you are looking to create something a little bit different, this could be the ideal choice of wedding invitation. Many couples have a colour scheme for their big day and if this is something that you are keen to incorporate into your invitation, you can do so. It is possible to customise the card and inlay papers, so any couple looking to create a unified theme to their special occasion will have a chance to do so. There is a range of stationery items included in the Vintage Lace theme so any bride and grooms that have a lot of information and correspondence to deal with before, during or after the happy day, this is a set that allows you to stay on top of everything in fantastic style, order from Infinity.